My niece moved out to the country this week, and the part that excites her most is that she now has room to raise chickens. 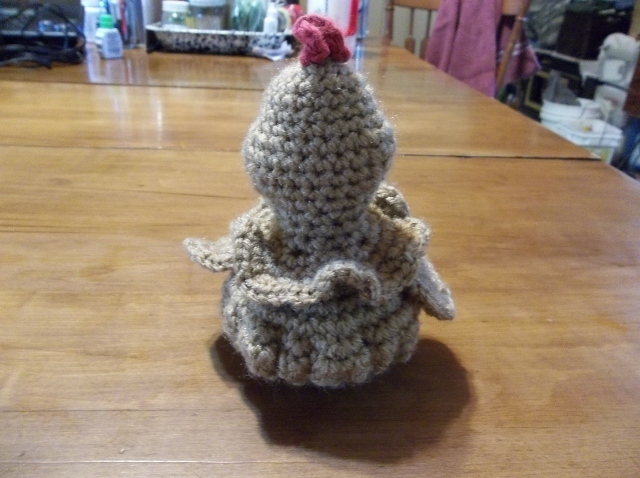 It's also close to her birthday, so I decided to crochet a chicken for her as a present. Sew crown, wattle, and beak to head. Use black yarn to sew French knot eyes. Using medium brown yarn, 3sc in each of the 18 sts left from the BLO sts in Rnd 16. Sl st back in the 1st st of the round to join. Sl st in 1st st of Row 1 to join. Fasten off and weave in ends. Sew the wings to either side of the body and the feet to the bottom front, just under the 3sc fringe. Stuff the head and sew it to the top of the body. And you’re done! All designs on this blog are my original work. Please do not sell these patterns. Feel free to sell items made from these patterns if you credit me as designer. 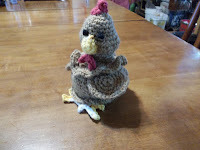 Love this wee chicken and will ideal for my story this week. 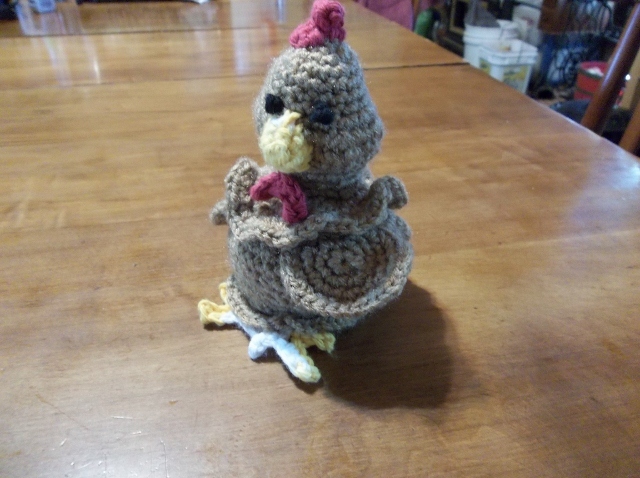 Your wee chicken will be ideal for my story this week.